Malick Sidibé was born around 1935, in a small village in Mali. He bought his first camera in 1956, and in 1958 he opened his own studio in Bagadadji, in the heart of Bamako. 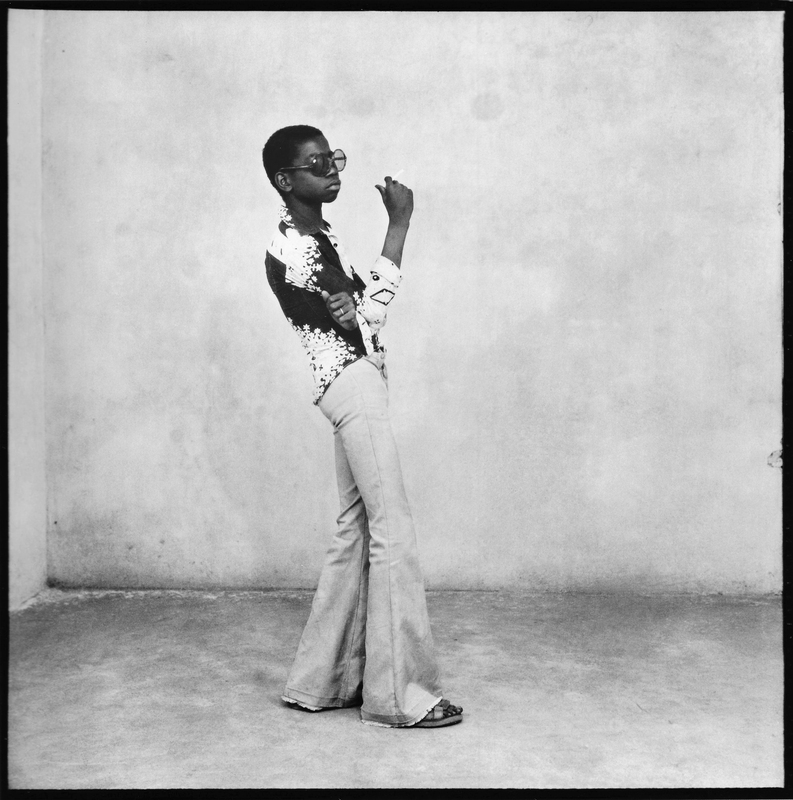 Like Seydou Keïta before him, Malick Sidibé started with studio portraits. But unlike his predecessor he soon became a street photographer and a young reporter in Bamako. In the 60s and 70s Sidibé worked mainly with the burgeoning club scene of the young folk of Bamako. Clubs with glamorous names like “Les Cyclones”, “Les Monkees” or “Les Chats Sauvages” were constantly sprouting up and were all the rage. Surprise parties in the evenings, river Niger on hot Sundays, football championships, boxing matches, and all sorts of events that Sidibé illustrated with moving photographs, lively snapshots, and leisure poses. Sidibé’s photography studio itself became a hip hangout for Bamako’s youth. Being a real inside-scenester, Sidibé was entrusted by his clients to photograph them at all times.